It's not everyday that larger-than-life celebrities come to Humboldt County, but on October 25, legendary rapper Snoop Dogg will perform in Eureka. The show is presented in part by People Productions in an exclusive Humboldt appearance made by one of the most successful music artists of our time. 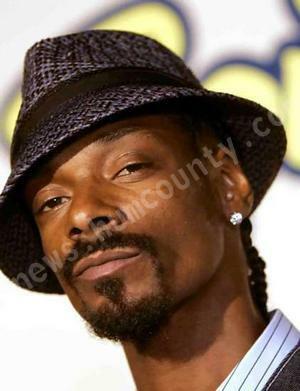 "People out there love Snoop Dogg. I spread love wherever I go, not just in big cities," said Snoop Dogg in a phone interview when asked why he's coming to Humboldt. "It's part of life." Popular local hip-hop group Potluck is one of the opening bands. Local ticket venues include The Works, People's Records in Eureka and Arcata, Redway Liquors, Wild Horse Records in Garberville, and peopleproductions.net. Hall said he thought it was obvious why Snoop was making a trip out to Humboldt County at this time of year for only one show. "If anyone doesn't know why Snoop's coming to Humboldt County," he said, "they're blinder than a bat."